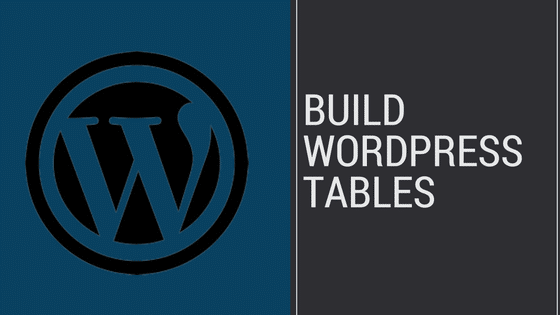 If you want to build tables in WordPress, you can not go wrong using the table press plugin by TobiasBg. With over 500,000+ downloads, there are several reasons why this plugin continues to get rave reviews and is considered widely as one of the very best free plugins ever developed for WordPress. shortcodes of the tables produced that can be inserted into widgets, pages and posts. There are also several extensions available for the plugin that further enhance its functionality. For detailed instructions on how to build tables with to use this fantastic plugin, watch our tutorial below from our YouTube channel.